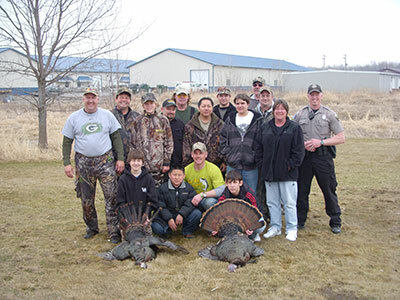 Come and enjoy a safe, personal guided turkey hunt in northeast Wisconsin and enjoy the thrill and excitement of a spring morning in the outdoors. Participants will arrive Friday night to meet the volunteer guides and hunters that will be escorting them the next day. On hand will be a DNR safety instructor to provide safety education and training for the first time hunters to learn the correct way to approach hunting. After dinner and a Friday night stay in the hotel, it's time to hit the woods and call in the turkeys. Check Out Last Year's Spring Turkey Hunt!